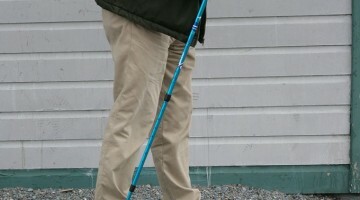 Nordic walking is one of the most effective weight loss and management tools. But not all forms of activity earn you the same amount of moola here. Notice the screen cap above of the Activity Tracker, comparing 40 minutes of three different exercise. Even without you knowing what these points are exactly, you can see that 8 is a more interesting number than 2 for the same amount of time. I was doing brisk walking for which I’d earn a solid 1 point for every 10 minutes — 40 minutes got me 4 points, which I thought was okay.2 When my weight dipped below 200 pounds / 90 kg, that changed. 40 minutes only got me 3 points3. Rip off city; so that got me thinking. Occasionally in my searching through the Weight Watchers Activity Tracker, Nordic walking, whatever the heck that was, would pop up. I finally played with it one evening as an entry and went, wow! holy efficient use of exercise time, Batman! 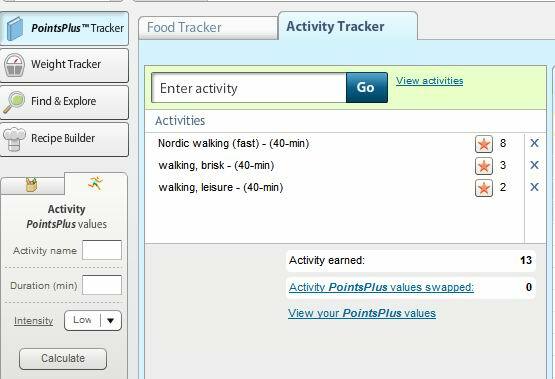 Whereas my 40 minutes of brisk walking was getting me a measly 3 Activity Points, not even a full glass of wine (that costs 4 points), the same 40 minutes spent on brisk Nordic walking would get me 8 points.4 Greed, and dollar signs — or more accurately, activity points and glasses of wine — floated in front of my eyes. 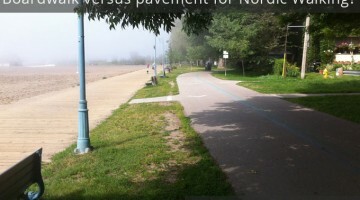 So, minor point — what in tarnation was Nordic walking anyway? So the Googling began to find out what the heck it was. Any Norker knows how the story went from here. A brief pause as the shock of the sheer “dork” factor hits you, and you have to ponder if you have enough courage to see this through. Which you either do or don’t. 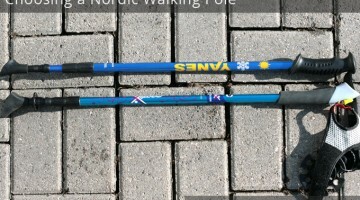 And then, onto figuring out where to buy poles, and then brief confusion as you try to get enough information to decide what type of Nordic walking poles you should get.